Winter is on the way! This means wet weather, high winds and possible ice and/or snow. In the most extreme conditions, we do not recommend driving at all, if it can be avoided. However, we understand that sometimes you just have to make the journey. If this is the case, the following winter driving tips will help you stay on the road and get to your destination safely. Power in a car is delivered periodically with every rev, rather than continuously. Therefore, you should keep your car in a higher gear when, whether you’re pulling away on a hill or stuck in the snow. This gives the tyres more time between each rev to regain traction. 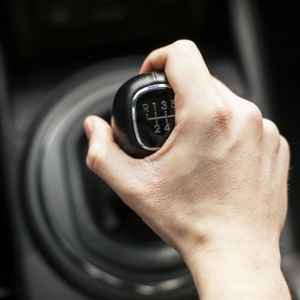 However, if you do find your wheels spinning, engage the clutch slightly and feather the throttle to keep the revs low and stop your wheels from spinning. In extreme temperatures, the condensation in the empty part of your petrol tank can freeze. These frozen particles of water can collect together when being sucked into the fuel line and end up blocking it. If the petrol can’t get out of the tank, your car won’t run or even start. 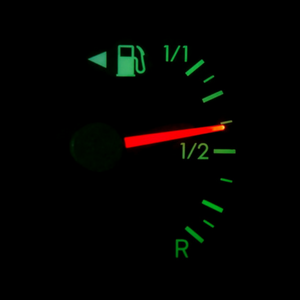 The general rule of thumb is to keep your petrol tank at least half-full, but the less air you have in the tank, the smaller the chances of you experiencing a blocked fuel line. Have you ever applied the brakes when it’s raining and felt nothing happen? You then put more pressure on the brake pedal and a second or so later the brakes suddenly come on and you’re skidding? The reason why this happens is because there is water on your brake discs. You apply the brakes and the brake pads merely wipe the water off the discs. That’s what’s happening when you feel nothing at first. Just stay patient and the brakes will work. Even though this is in our winter driving tips list, this actually an all-year-round tip. Have you ever looked at an interesting object to your left, then suddenly found yourself turning left? Your eyes guide your body to where you want to go. 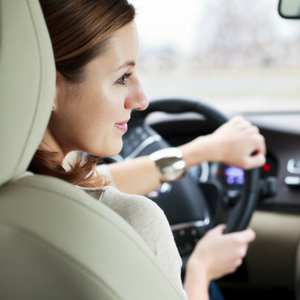 Our bodies are programmed that way, so make sure to keep your eyes on the road you want to be driving on. 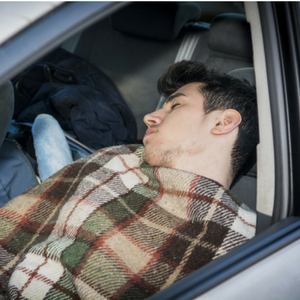 If you break down in the cold weather, you could be in serious trouble! Cars generally offer almost no insulation whatsoever, so be prepared for an emergency at all times by keeping a thick blanket in the back. It could literally save your life! 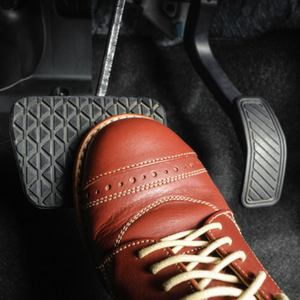 Have you ever changed down into a lower gear and felt your car braking, even though you’re not touching the brake pedal? That’s called ‘engine braking’. In slippery conditions, you may only be able to apply a small amount of brake before you start to skid. If you change into a lower gear, without putting the rev needle into the red, the engine braking can help you slow down quickly without skidding. Possibly the most important of our winter driving tips: When conditions are slippery, braking can easily make your car skid. 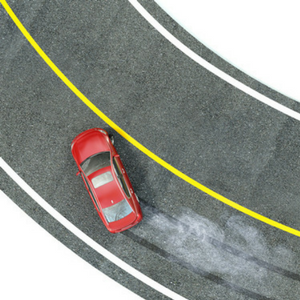 Braking while turning will almost definitely make your car skid. Give yourself plenty of time to brake before each corner to minimise your chances of skidding into another lane or even off the road completely. You only get one chance at life. Driving during the winter can be very dangerous, so only embark on your journey if it’s absolutely necessary. If you really must take the car somewhere, use these winter driving tips to keep yourself safe. Got any tips to share with us? 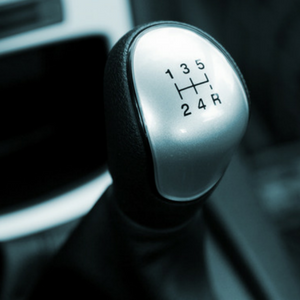 Click the icon above and let us know YOUR top winter driving tips! Tivoli Auto Services have been in business for over 20 years, we are based in Hastings with a team of specialist trained mechanics and technicians using the latest diagnostic equipment for Volvo, Audi and Volkswagen vehicles.